iOS 8 is certain to grace our iPhones, iPads and iPod touches this fall, and the new operating system is just around the corner from the looks of it. Thanks to Apple’s extensive beta testing period, all the bugs in the upcoming software are being ironed out (hypothetically, at least), while some others merit the incremental releases that we see in the form of decimal point updates. Another reason for these beta releases is to give app developers ample time to fix their apps with broken functionality thanks to the new API protocols, and that’s why when the final version sees the light of day, most of our favorite apps run without a problem. 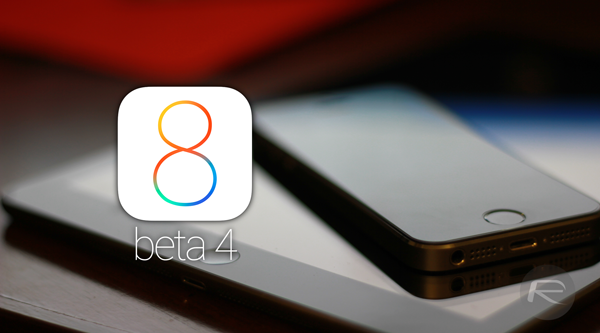 On that note, some users over at the MacRumors forums are building a comprehensive list of apps that are compatible with iOS 8 beta 4 – the latest beta OS available at the time of writing – and that you can try out right now should you have beta access on your iDevice. The list in its nature is pretty thorough, including not just those titles that work just fine, but those as well that work but have specific issues. Then, there are those (mostly famous) apps as well that are knowingly broken, and are expected to be fixed prior to the launch of the final version. We’ve seen some app developers showcase the new APIs included in iOS 8 through their official channels, and hence, MacRumors list includes working titles such as 1Password (that showcased the new Touch ID versatility), Dropbox, Chrome, Instagram, Vine and the like. On the other hand, Facebook and Snapchat work with iOS 8 beta, but have some issues with video playback. The flip side of the coin shows apps like Photoshop Touch, Camera+, Evernote, Google Drive, WhatsApp etc. that are completely broken, owing to the new protocols included in iOS 8. The entire list of can be viewed via the source link below, and MacRumors is encouraging everyone with beta access to contribute to this list, since it’s built more on a wiki platform. Of course, there are certain caveats to who can post, which are obviously in place to discourage false entries. You can find more details on the original thread itself.